Book review proposals. The author of the potential review should include as much information as possible relating to the proposed book (author’s name, title, publisher, publication date, number of pages, and ISBN) in their proposal. To propose a book review to LALT, please email Book Reviews Editor Arturo Gutiérrez Plaza with a brief explanation of the book’s importance to LALT. The editorial team reserves the right to accept or reject any proposed review. Please do not directly request copies of books from publishers in LALT’s name. In order for a review to be considered for publication in any given issue, it must be received at least one month before said issue’s publication date. 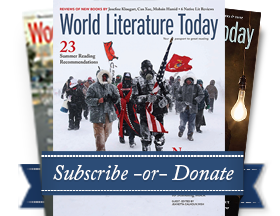 LALT is dedicated to diffusing and promoting works of contemporary Latin American literature. For this reason, any book considered for review must have been published in the same year as the review, or the year before at the earliest. If the reviewer is unable to send the review before the relevant deadline, they should email the Book Reviews Editor to either (1) clarify that LALT should wait until a specified later date for the review or (2) definitively cancel the review. Length. Reviews can have a maximum of 1,200 words and a minimum of 500 words. If the review does not meet this requirement, LALT reserves the right to (1) return the review to its author for revision or (2) edit the review to adapt its length to the normal space requirements of LALT. If, under extraordinary circumstances, the author should wish to alter the length of a review proposed to LALT, this request should be sent to the Book Reviews Editor for consideration. Blanco nocturno. Ricardo Piglia. Barcelona: Anagrama. 2010. 304 pages. Font name and size. All submissions sent to LALT should be written in Times New Roman 12-point font with 1.5 line spacing. Spacing and special characters. Please avoid extra spaces and/or special characters between paragraphs as much as possible. Do not add any space before or after a line of text, especially if it is the first or last line of a paragraph. Quotes. Quotes should be kept brief (preferably two to three lines), and there should be no more than four quotes in a review. All quotes should be incorporated into the body of the text without a page number. Please avoid using footnotes and endnotes as much as possible. Citing Short Stories or Chapters of Novels. There is no need to indicate page number when citing the title of a short story or the name of a chapter in a novel. Bibliography: No book review published in LALT can include a bibliography. Publication. Once a review is published and available online, the Book Reviews Editor will officially notify the review’s author by email. Author’s institutional affiliation. Please include your institutional affiliation (the university or research institute with which the author is associated) or city of residence at the end of the text, oriented to the document’s right margin in italics. Submission date. Once the text has been submitted, it cannot be modified by the author. We recommend that all LALT collaborators ensure they are submitting the final version of their collaboration to avoid editing problems after submission. LALT reserves the right to reject any collaboration that does not meet the indicated submission guidelines.